Check out DC Collectibles’ amazingly detailed 1:6 scale statue of Batman Vs Bane from Christopher Nolan’s film The Dark Knight Rises. This must-have Batman collectible is a hand-painted, cold-cast porcelain statue and is packaged in a 4-color box. 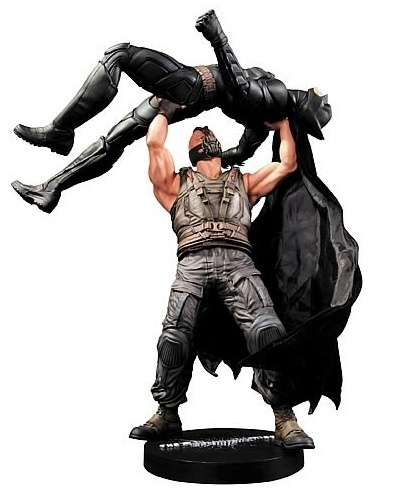 The Dark Knight Rises Batman vs Bane statue measures 16-inches tall and becomes available in December 2012 but can be pre-ordered now.